I think I've only heard good things about Greenleaf, and it looks pretty in the Cortex map. It has three moons, and two them look like Mars. 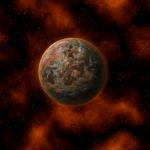 It's even the third planet from its star, which is a popular number for a habitable world. They seemed to have decent medical care for Book, and also did not hassle Mal or Serenity much. The place where Saffron hid in OMR looked kind of homey.